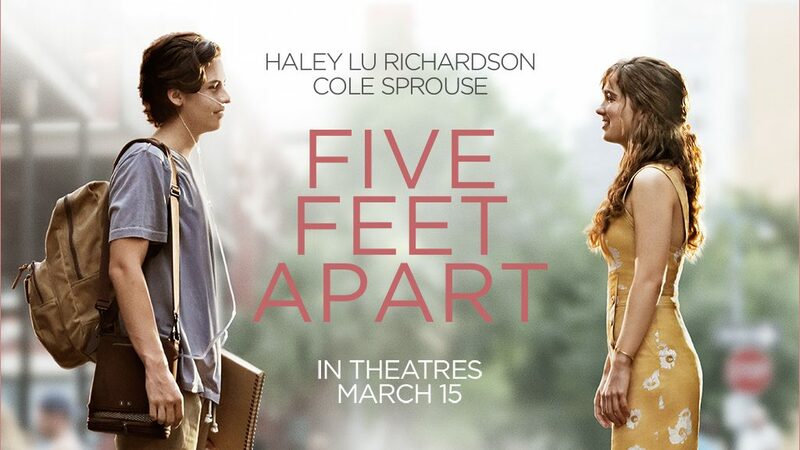 For those of you who may not know, Five Feet Apart is a movie, directed by Jane the Virgin's very own Justin Baldoni, that was released in the theatres on March 15, 2019. The movie depicts the developing relationship of two star-crossed lovers who are patients of Cystic Fibrosis. Needless to say, Five Feet Apart is the unique, romantic, tragic storyline we have all been waiting for (we just weren't aware). To start off the conversation of the movie, here is a little bit of general information regarding Cystic Fibrosis (CF) so we all have some context. Cystic Fibrosis is a genetic disease that impacts the lungs and digestive system due to mucus that can block air from the lungs. So, patients diagnosed with Cystic Fibrosis often have a difficult time breathing and it is sometimes a life-threatening disease, but on average it is known to call for a shorter life-span. In terms of the film, it is often repeated that people who have Cystic Fibrosis can spread their bacteria to, and possibly worsen the condition of, another patient of CF. This is essentially why people who have CF are mainly instructed to not touch another CFer and they must simply remain at least six-feet apart from one another at all times- this is to ensure both their safety and health. But, as we quickly learn from the title, our protagonist Stella is done giving CF everything she has to offer and is demanding a bit- more like one foot's worth- back, by only staying five feet away from a certain somebody. The film begins by giving us insight into the life of Stella (Haley Lu Richardson), our hopeful, quirky protagonist who is in control of taking care of her Cystic Fibrosis. Stella lives by proudly assimilating to all the medicine and organization, as she is determined to live for as many years as she can get. One major thing we learn about Stella is her eagerness for knowledge and finding comfort in knowing that there is life after death. She finds that peace through her love for babies as they symbolize hope and another possibility for life. With that being said, she is often visiting the hospital's nursery with the help of her favorite nurse, Barb, when she catches the eye of another patient. From the second that bad-boy heartthrob Will (Cole Sprouse) waltzes onto the screen, we all fall in love... until we discover he is also a patient of CF and thus enters the big star-crossed plot as mentioned before, or rather what I like to consider, the most torturous love story we have all seen since The Fault in Our Stars. As the story progresses, we fall in love with each of the characters: their strengths, faults, beliefs, and lifestyles. For Stella, each person in her life represents something unique and meaningful to her and each one is responsible for impacting her life in one way or another. There's Will, who represents the idea that we all only have one life, so why restrict ourselves to limits? We come to meet Stella's bestfriend Poe (Moises Arias), also another CF patient, who constantly reminds her of the sweeter things in life. Then, there's Stella's sister, Abby, who reminded her that she will always have never-ending love and support in her life. The movie does go through it's fair share of utterly blissful moments, which we all cherish as they come, but there's also the realistic quality of heartbreak, pain, and well, just some good old emotional damage. I do not wish to spoil these moments if you have not yet seen the movie, but just trust me when I say it may not be a bad idea to take some tissues with you... and maybe a blanket to comfort you and a good friend who will hold your hand through it all. Nonetheless, despite Five Feet Apart being an amazing, yet painful love story, the underlying message of awareness is the important aspect that a movie, such as this one, has brought to the big screen. Sure, there are tons of romantic stories, all of which containing some sort of plot twist and a possibility of ending up together, or separate, but what sets Five Feet Apart aside from the rest is the presence of disease. As mentioned earlier, we may have movies like The Fault in Our Stars, and as much as the two can possibly be compared, they simply revolve around different diseases that convey completely different lifestyles, and both stories are valid and deserve to be told. Many times, the average, healthy person doesn't spend much time thinking about different diseases out there or how they may be impacting lives, especially if it's something they don't see often. So, that's where a movie that contains a storyline such as this one comes in handy, because it's a step in the right direction of sharing a voice that isn't often heard in the media or society. Especially for a disease as common as Cystic Fibrosis, it's definitely nice to see that type of diversity depicted on the screen, so people can learn and understand how it can effect lifestyles. Five Feet Apart also does an incredible job at sharing the lesson of valuing and taking advantage of something so simple as human touch and being able to be so close to the one that you love. Awareness is always the first step towards empathy and understanding, which is something our world could always use a little more of, because that eventually becomes spreading love and appreciation towards others. All in all, I do believe that Justin Baldoni did an excellent job at directing this film and I can eagerly say that I look forward to any other projects he is hopefully working on for the near-future. Also, all the actors and actresses within the film did an astonishing job in telling this story for the world to see. Five Feet Apart, in my opinion, is definitely a must-see because it has both ruined my life and made it a little better at the same time, which is why I have been fangirling over it since the second I left the theatres and am contemplating seeing it again... even if I have not yet fully recovered from the first viewing. 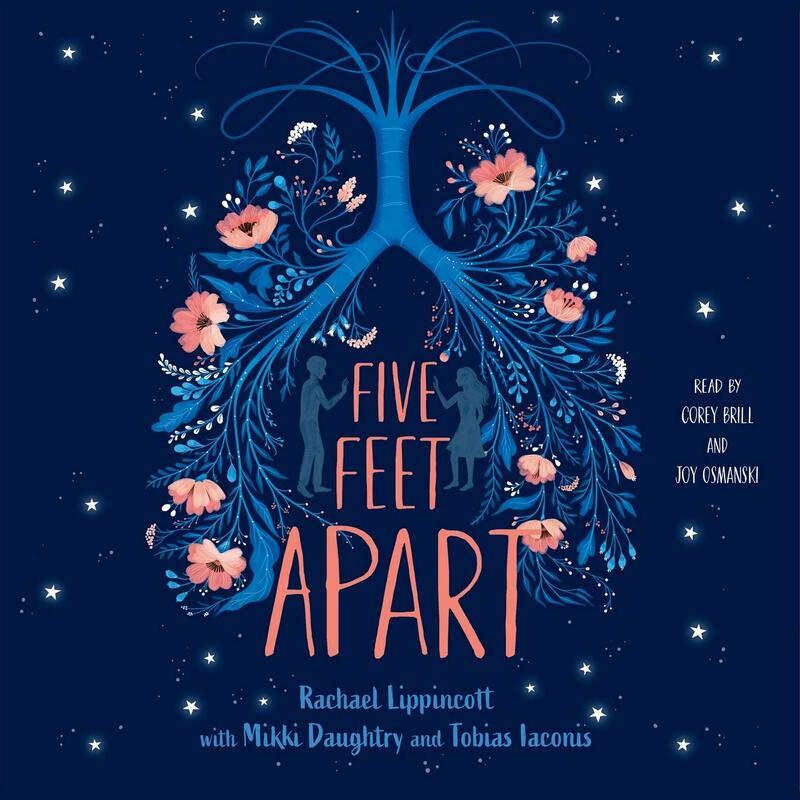 Lastly, to my recent discovery, Five Feet Apart is based off the novel by Rachael Lippincott with Mikki Daughtry and Tobias Iaconis, so if you have already seen the movie and want to continue showing support, or even if you're more of a book-lover, I recommend you check it out!